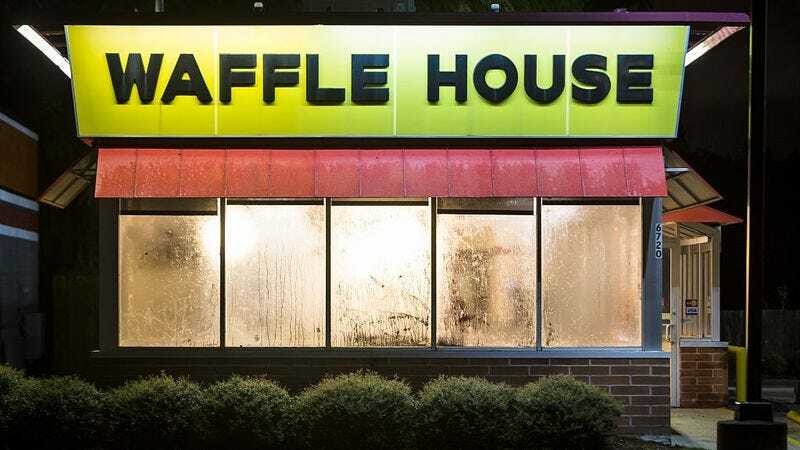 In a disaster, the “Waffle House Index” meme gets tossed around as the ultimate barometer for its severity. The story goes that if the famously always-open breakfast joint is open, you’re in the clear; be careful if it’s serving a limited menu of nonperishable items; and if it’s closed altogether, look out. This year’s Hurricane Matthew, for example, ended up briefly shuttering a total of 98 outposts, although as many as 477 of them were in the storm’s path. A new article on FiveThirtyEight explores the spread of this index, investigating whether or not it is an accurate measure and what else it might mean. It turns out that, while there isn’t a simple, accurate index that anyone keeps track of, Waffle House does keep FEMA in the loop on its preparations, and the restaurant chain is decidedly forward-thinking in those preparations, including staffing internal analysts that predict store closings and monitoring social media to determine any possible supply chain disruptions. The company uses a green-yellow-red designation internally, creating a reliable heat map of how disrupted local infrastructure might be. Waffle House apparently takes their “always open” branding extremely seriously; it’s all hands on deck when something might compromise that. “We say we throw chaos at chaos,” Vice President Will Mizell told FiveThirtyEight. “We just throw a lot of resources down there to get restaurants open. Our CEO will be there. In Matthew, our chairman was there, too.” For one thing, Waffle House is simply not set up to go off the grid for a few days; as a business, it’s designed to be always-open, so maintaining that is hugely important. But, as the article notes, it also leads to an influx of business. Each Waffle House contains a sign providing employees with tips for hurricane preparedness. It ends: “We will be very busy and you will make lots of money!” The article notes that even disaster-relief crews end up relying on Waffle House as a solid meal in the midst of relief efforts, so you can add “I was stuck in a hurricane-ravaged area” to “I was drunk and someone drove me there” as reasons to eat at a Waffle House.